Published: Sept. 21, 2016 at 01:16 p.m. Updated: Sept. 21, 2016 at 04:34 p.m. When Percy Harvin became the first slot receiver to win the NFL's Offensive Rookie of the Year award in 2009, he was the exception to the prevailing wisdom that the position was solely the domain of smaller, shiftier wideouts unable to survive outside the numbers. Seven years later, there's no such thing as a prototypical slot receiver along the lines of Wes Welker. We still see undersized joysticks such as Julian Edelman, Randall Cobb and Cole Beasley. We also see physical receivers who used to win primarily on the outside such as Larry Fitzgerald, Anquan Boldin and Eric Decker. Even skyscrapers along the lines of Vincent Jackson and Jordan Matthews frequent the slot these days. One new player set to join the ranks of the great inside threats is Giants rookie Sterling Shepard, who has spent as much time in the slot as any receiver through two games. Shepard has been so impressive so early in his career that a rejuvenated Victor Cruz is now playing almost strictly on the outside. If Cruz and Odell Beckham are to be trusted, Shepard is a heavy favorite to join Harvin's exclusive company. "Lights out every game," Beckham said after Shepard's impressive Week 2 performance. "[Shepard] comes up with the big catch, makes the big plays. He's going to be Rookie of the Year." 1) Larry Fitzgerald, Arizona Cardinals: Let's pause to appreciate greatness 13 years into the extended prime of a Hall of Fame career. Once the NFL's gold standard as an "X" receiver consistently beating cornerbacks downfield, Fitzgerald has remade himself by using the greatest hands of his generation to come down with contested catches in tight spaces. The plaudits don't stop there. Fitzgerald is also the best blocking wide receiver, the most productive postseason star and perhaps the foremost model of stability as the face of the Cardinals franchise. When will we learn to stop writing the 33-year-old legend off as a difference-making talent? Even after Carson Palmer posted a gaudy 119.5 passer rating on throws to Fitzgerald in 2015, conventional wisdom suggested younger teammates Michael Floyd and/or John Brown had surpassed Fitzgerald in Arizona's pecking order entering the 2016 season. Through two weeks, Palmer has increased his passing rating to 134.2 on Fitzgerald targets. He's the class of one of the NFL's most dangerous wide receiver corps. 2) Doug Baldwin, Seattle Seahawks: Embarking on his sixth NFL season, Baldwin has already earned his third professional contract with a four-year, $46 million deal that recognizes his status as a team leader and unheralded star. Responsible for the NFL's top passer rating when targeted (139.9) in 2015, Baldwin was the most efficient receiver in the league last season. Of the 87 receivers to play at least 25 percent of their teams' snaps and accrue an average depth of target beyond 10 yards, per Pro Football Focus, Baldwin's completion rate of 79 percent was No. 1. A crafty route runner without fear over the middle, Baldwin has emerged as Russell Wilson's go-to target in high-leverage situations. While he plays nearly 90 percent of his snaps in the slot, he isn't limited to shallow routes. In fact, only Sammy Watkins scored more touchdowns on deep passes (20 or more yards in the air) in 2015 (Watkins had eight to Baldwin's five). Slot receivers don't just come in all shapes and sizes these days, they also have varying pedigrees. Baldwin went undrafted out of Stanford, while Fitzgerald was selected at No. 3 overall in the 2004 NFL Draft. 3) Julian Edelman, New England Patriots: It's no coincidence that Edelman has succeeded former Patriots receiver Wes Welker as the league's option-route master. High-profile veterans such as Joey Galloway and Chad Johnson quickly flamed out in New England because Tom Brady's offense is so heavily reliant upon reading coverages and improvising routes based on defensive tendencies in the crowded mid-section of the field. Edelman is a better athlete than Welker, which allows Brady to dial up man-beater routes whenever he sees a favorable matchup versus a bigger cornerback unable to match Edelman's trademark quickness off the line of scrimmage. Consult the Super Bowl XLIX game tape and watch Edelman trash the greatest secondary of the 21st century -- all the while talking smack to remind Seattle's accomplished defensive backs that there was nothing they could do to stop him. A converted college quarterback, Edelman is the active leader in punt-return average -- and sixth in NFL history. He's a kamikaze with the ball in his hands, and his playing style too often results in injuries. Fortunately, the Patriots also boast Danny Amendola and Chris Hogan, two more receivers capable of excelling in the slot. 4) Jarvis Landry, Miami Dolphins: Landry is a polarizing receiver. Boosters point to his record-setting receptions pace (194 in Years 1 and 2, the most ever in a player's first two seasons), vise-grip hands, physical toughness and rare ability to force missed tackles when he has the ball. Detractors note that the majority of his catches are manufactured by the play caller near the line of scrimmage. Landry is excellent when he's schemed open on quick-hitters such as slants and bubble screens. Can an offense thrive with that limited skill set as the focal point? Landry entered the league in 2014 with Hines Ward comparisons, but I see a more reliable, less explosive version of Percy Harvin. He can exploit openings and threaten deep on occasion. At the same time, he doesn't run a full route tree and rarely is tasked with beating press-man coverage. If he was paired with a true No. 1 receiver, Landry's volume numbers would drop -- and the Dolphins would start winning more games. 5) Eric Decker, New York Jets: The NFL's preeminent second fiddle for the past half-decade (with two different teams, no less), Decker is essentially a power forward in the red zone and down the seam. Since 2012, only Dez Bryant and Brandon Marshall (Decker's Jets teammate) have bested Decker's 43 touchdowns. Marshall and Decker found the end zone in the same game nine times last season, breaking the NFL tandem record set by Cris Carter and Randy Moss with the historically explosive 1998 Vikings. A picture of consistency, Decker has hauled in a touchdown in 15 of his last 18 games. It's rare to see slot receivers doing as much downfield damage as Decker did to the Bills' cornerback duo of Stephon Gilmore and Ronald Darby last week. He generated five different plays of over 15 yards, not including a 53-yard reception that was nullified by penalty. For years, Decker's production was discounted as a byproduct of Peyton Manning's prodigiousness in Denver. But how many receivers would have been able to match Decker's prolific level of play catching passes from Kyle Orton, Tim Tebow and Ryan Fitzpatrick? 6) Randall Cobb, Green Bay Packers: Cobb is the trickiest evaluation on this list. Will this season more closely resemble 2014, when he was the best slot receiver in football, or 2015, when he was a season-long liability while playing through a painful shoulder injury? At his peak, Cobb's greatest assets are his versatility (he aligns primarily in the slot, but also in the backfield and outside), the run-after-catch elusiveness of a punt returner and a mind meld with Aaron Rodgers on broken and improvised plays. That Rodgers-to-Cobb connection generated an NFL-high 134.3 passer rating in 2014, as Cobb finished in the top 10 in catch percentage, yards after catch and forced missed tackles, per Pro Football Focus. Last season was a different story. Forced to play outside more often while drawing extra coverage with Jordy Nelson out of the lineup, Cobb contributed to the first dysfunctional offense of the Rodgers era. "Last year you had one guy [Cobb] for Aaron to throw it to," one NFL assistant coach explained this past offseason. "It was, OK, cover that guy, and after that [Rodgers] had to make everything up." Four years ago, Rodgers predicted Cobb would ultimately be regarded as "one of the best picks in [Packers general manager] Ted Thompson's career, if not the best." Through two games this season, we've yet to see evidence that the sixth-year veteran has found his way back to that ascendant career path. 7) Sterling Shepard, New York Giants: Wide receiver guru Matt Harmon billed Shepard as not only the most NFL-ready route runner in the 2016 NFL Draft, but also as someone who is uniquely gifted for a slot prospect. Shepard has generated a steady stream of hype for his hands, speed and explosive athleticism since landing with the Giants in the second round. "I just feel like I really know what he's capable of," Beckham raved in June, "and I'd rather let him just shock the world than spill his secrets. ... He was definitely a steal, a guy that could have gone first round." It's telling that Shepard has already displaced Cruz, the league's most dangerous playmaker out of the slot in 2011 and 2012. Through two NFL games, Shepard boasts a 91.7 catch percentage -- behind only Travis Benjamin (100.0) and Quincy Enunwa (92.9) among receivers with at least 10 targets. With Cruz back on the field and Shepard replacing an inefficient Rueben Randle in the pecking order, the Giants now rival the Cardinals and Jets for the NFL's top wide receiver trios. 8) Jordan Matthews, Philadelphia Eagles: Former Saints star Marques Colston paved the way for Matthews as a large-framed slot receiver capable of beating the occasional cornerback over the top and safeties down the seam. Matthews -- a second-round pick in 2014 -- had a special role under former Eagles coach Chip Kelly the past two years, working between the numbers to exploit size mismatches as a possession receiver with long arms, huge hands and the ability to come down with contested catches in high-traffic areas. Although he's lining up outside more often in new Philadelphia coach Doug Pederson's offense, Matthews is still primarily a slot receiver mixing spectacular catches with flagrant drops. 9) Willie Snead, New Orleans Saints: Drew Brees has found his new version of Lance Moore, a jack-of-all-trades wideout with a knack for finding open spaces against zone defenses. Uncanny route running allows Snead to move the chains underneath coverage and sneak up on safeties and linebackers with a double-move to separate on deeper and intermediate routes. Throws in Snead's direction led to a team-best 111.1 passer rating last season. Though two games this year, that mark has skyrocketed to 158.0. Even if we attribute the bulk of that to the Raiders' coverage woes in the season opener, Snead is here to stay as a productive slot receiver. 10) Cole Beasley, Dallas Cowboys: If you're looking for Beasley, you can find him at the sticks. Rookie running back Ezekiel Elliott and the dominant offensive line garner the spotlight for Dallas' ball-control offense, but it's Beasley who has been a first-down machine as rookie quarterback Dak Prescott's security blanket. Much like Edelman, Beasley wins with rare suddenness before and after the catch on option routes. It's Beasley -- not 2014 All-Pro wideout Dez Bryant or 10-time Pro Bowl tight end Jason Witten -- who leads the Cowboys in receptions as well as receiving yards early in the season. 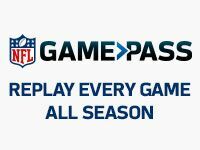 SPECIAL MENTION: Allen Hurns, Jacksonville Jaguars; Quincy Enunwa, New York Jets; Mohamed Sanu, Atlanta Falcons; Anquan Boldin, Detroit Lions; Jamison Crowder, Washington Redskins; Kendall Wright, Tennessee Titans; Danny Amendola, New England Patriots; Eli Rogers, Pittsburgh Steelers; Tyler Boyd, Cincinnati Bengals.